What's a better way to celebrate a five-year anniversary than on the sandy shores of Maui? After taking this vacation, I don't think anything could have beat it. Daniel and I have talked about this vacation since we first met in 2011. We have both been to Maui separately, and we always talk about how it's our favorite place to go. It was time we vacationed there together! We booked our tickets the week of Thanksgiving and spent the first two weeks of December basking in the Hawaiian sun. Knowing us, of course we made use of every spare minute of our vacation. We were up before the sun rose each day, walking or jogging along the coastline, then filling our bellies at our hotel's breakfast buffet (the Ka'anapali Beach Hotel), and heading off every morning to enjoy a new beach or "must-do" on the island. 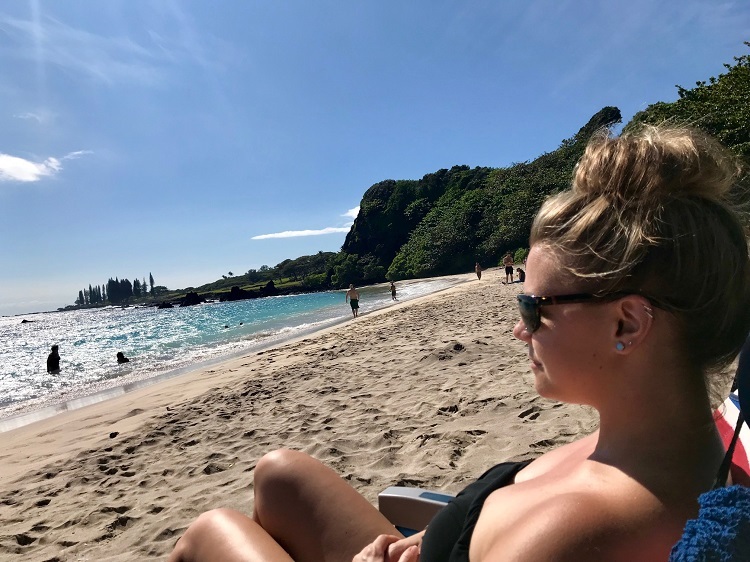 We ended up visiting ten different beaches, snorkeling eight beaches, eating all the fresh fish we could find, scouting the best happy hours on the island, and spending absolutely as much time soaking up the Hawaiian life we dream about so often. See some of the photos and stories of our trip below! We rented snorkel gear, chairs, and a boogie board from The Snorkel Store. Their staff was absolutely awesome, and they gave us an easy-to-read map with all their best spots for snorkeling detailed and specified to what we were looking for. Their map often lead us south to Kihei or Wailea, which had the best conditions during the weeks we were there. 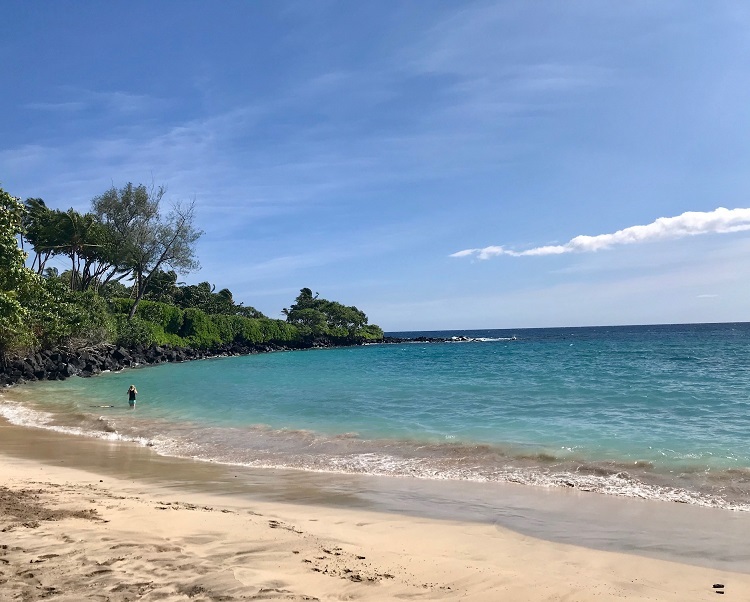 The photo above was from one of the eight beaches we snorkeled--the Black Sand Beach, which is just north of Makena State Park and south of Wailea. The current was heavy the day we were there, but we saw plenty of their reef life, including a huge moray eel. On our third day in Maui, we took to the seas with the Hawaii Ocean Project and cruised on a day trip to Lanai. Daniel and I had both snorkeled Molokini during our past trips to Hawaii, so this time we opted for something new. Our crew was a seasoned group of guides and they were fantastic, and we also lucked out with a smaller tour group that day with about 20 people who were all middle-aged. It was very different than most of the other boats we saw setting sail that had 100+ people and 50+ kids in their groups. We set out for Lanai early in the morning, the trip lasting just a little over an hour. 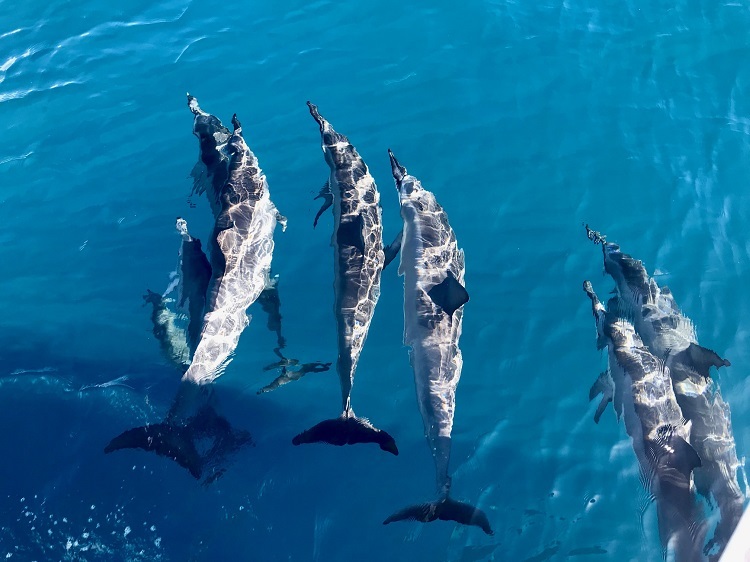 Along the way, we spotted humpback whales in the distance, a bottlenose dolphin that came to check out our boat, and a pod of over 50 spinner dolphins that were hungry for some camera time. They ended up circling our boat for a good ten minutes, and I scored some fantastic videos and live photos of the action. The shot above was one of the stills, and I still think it's the best thing I saw the entire trip. 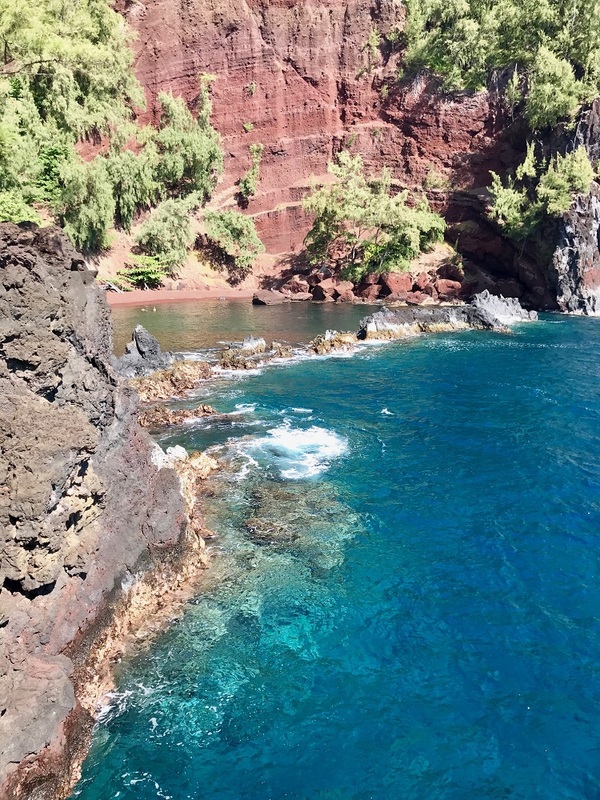 When we arrived at Lanai, we snorkeled at Manele Bay for an hour and then also snorkeled at a remote location called "The Club" for another hour. The coral reefs at The Club were immaculate and the water was so clear. The tour guides said they don't often get to go to that spot due to the weather, so we were so grateful for a beautiful, clear day. The tour also served us breakfast, lunch, and a complimentary cocktail. We both agreed that the Lanai snorkel trip was the best investment we made while on the trip and it was our favorite day overall. The two photos above were taken at 5 Caves in Wailea, just north of Makena Landing and Turtle Town. We first were going to snorkel at Poolenalena Beach, but it was pretty busy so we ventured down the road and ended up at 5 Caves. We had to scale down the rocky beach to get into the water, and we were the only ones in sight. We weren't quite sure if we were even in an actual snorkel spot until we hit the ocean. And let me tell you--it was our favorite spot to snorkel. 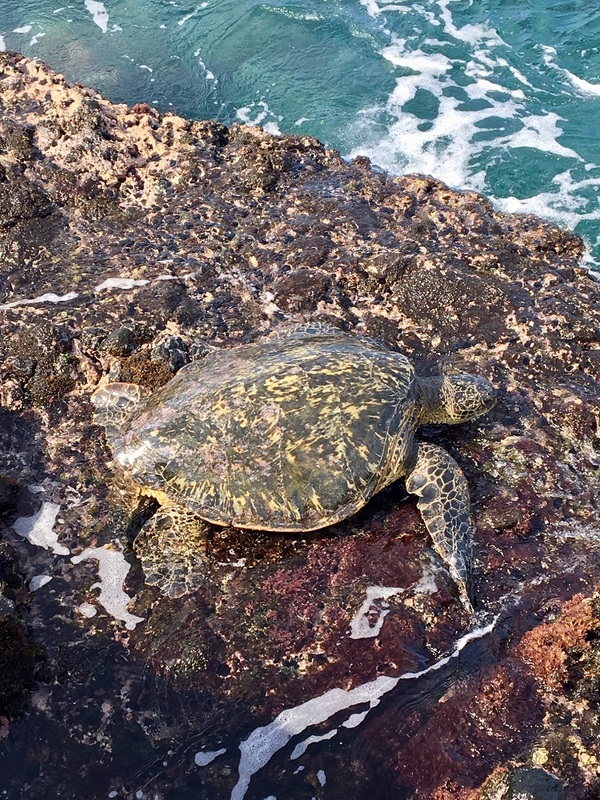 Within 20 feet of the water's edge, we were greeted by four turtles who were catching their morning reef breakfast. We took a corner and were greeted by five more. The water was absolutely pristine and the conditions could not have been better. Once we finished snorkeling, we dried off and climbed the rocks around 5 Caves to check out the turtles. They were just hanging out, surfing the waves and enjoying their breakfast. We snagged some very cool photos and hung out for 30 minutes or so before heading off to enjoy margaritas at Fred's Mexican Café. It was the perfect ending to our best day of snorkeling. 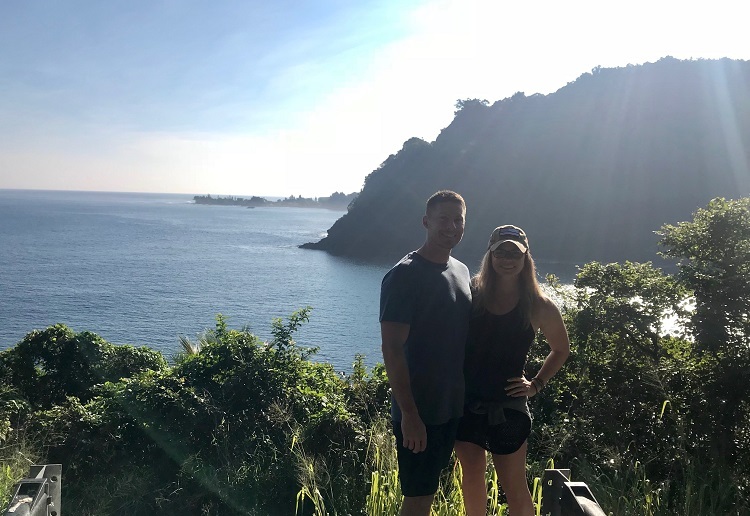 On our second-to-last day, we did the legendary Road to Hana, taking the winding roads on the northern coast to the remote beaches that Hana is famous for. Along the way, we stopped at viewpoints, waterfalls, and at any location that struck our fancy. It was a really fun day, and very different than all the other days we had spent snorkeling. 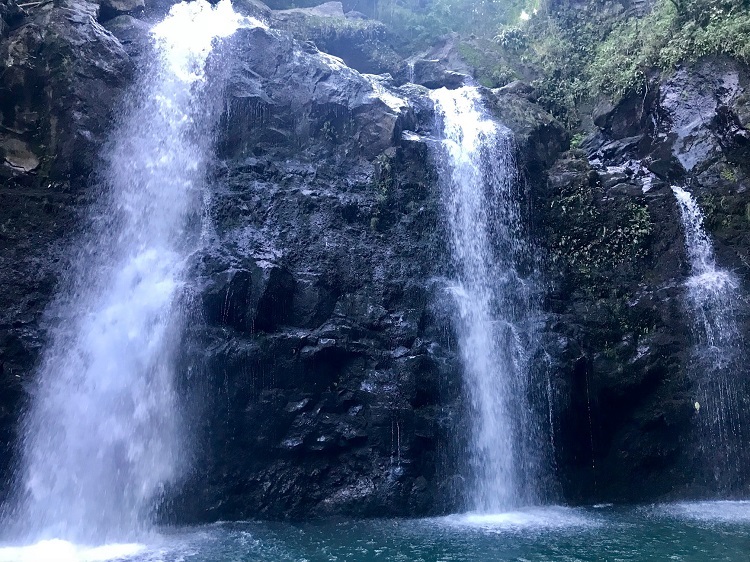 These were the 3 Bears waterfalls along the Road to Hana. We had to climb down a steep pathway to get up close and personal to these falls, but it was so worth it. Speaking of "falls," I took a pretty good one while trying to climb out of the waterfall area. I totally ate it off of a rock and slid my way down a huge boulder, taking all the skin off of my shin with it. And as a side-story, I also got stung by a black sea urchin in the hand while snorkeling at Ulua Beach in Kihei the day before. I was an accident-prone tourist on this trip! This was on the rocks at Hana Bay Beach Park on the Road to Hana. 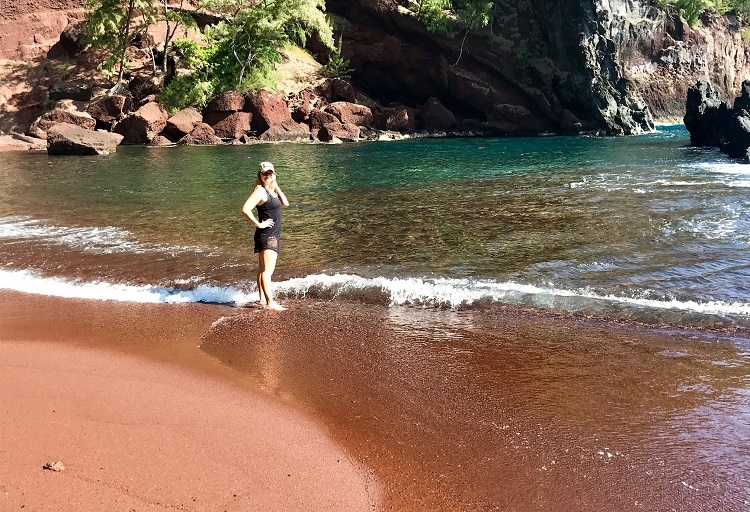 If we did the Black Sand Beach in Wailea, we had to visit the Red Sand Beach at Kaihalulu Beach in Hana. The hike down to it wasn't quite as bad as everyone had let on, but the aquamarine blue water and rich red sand at the end were so worth the trip. We didn't stay at the beach for too long, there were quite a few people there and we'd heard about another amazing beach along the coastline, so we enjoyed the cool water and pebble-filled sand for a bit before heading down the road. 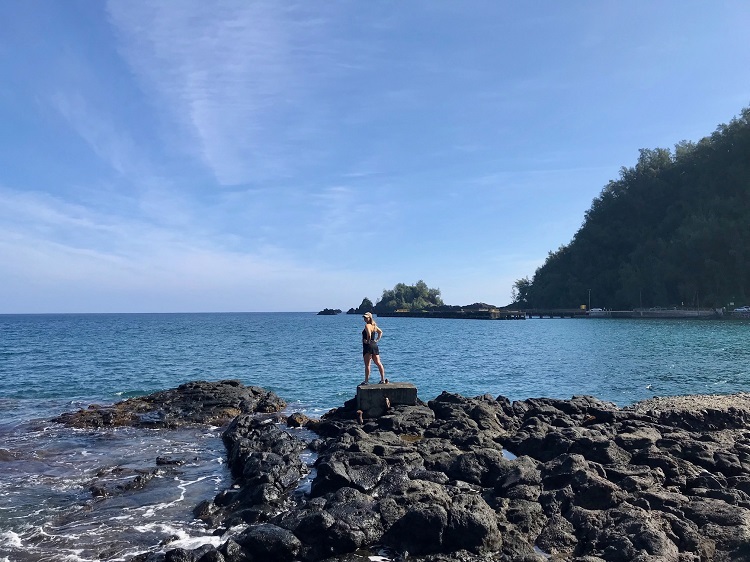 Our last stop in Hana was Hamoa Beach, and it was the perfect, picturesque beach we had been hoping for. 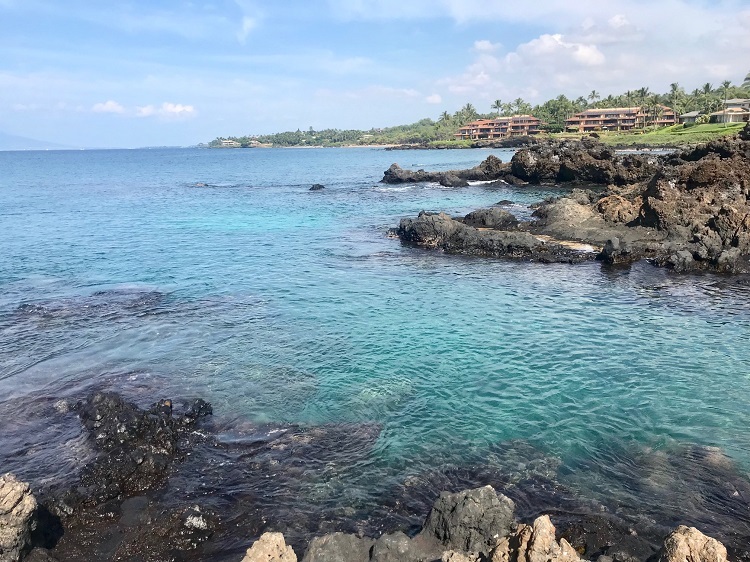 Many of the beaches in Kihei and Wailea were good for snorkeling but were often busy and not quite as breathtaking as Hamoa. This beach was pretty much deserted and we felt like we had the whole thing to ourselves. The water was sky-blue, the sand was soft and light, and we sat in the sun for a couple hours, just soaking it all in. We are grateful one of the locals we'd met along the Road to Hana told us to visit Hamoa Beach. It was our favorite lounging beach of the trip. While I didn't share any of the photos of any of our spectacular meals, we sure did dine like kings on the trip. The Ka'anapali Beach Hotel (which we loved by the way for it's affordable prices, friendly staff, easy-going rooms, and prime location on Ka'anapali Beach), had a great breakfast buffet each morning that was more than just your typical Continental Breakfast. It boasted tables filled with all the breakfast food you could imagine, plus local Hawaiian foods and delicacies. We pretty much ate a big breakfast and then a lunch/dinner combo each day, saving room for scoops of ice cream in a waffle cone from Banyan Treat in Lahaina (ice cream is always a staple on our trips). We had the BEST EVER fish tacos at Paia Fish Market in Lahaina, loved the food and atmosphere combo (plus the Lava Lava Shrimp) at Down the Hatch in Lahaina, sipped on the most delicious strawberry margaritas at Fred's Mexican Café in Kihei, and ate the best sushi of our lives at Miso Phat Sushi in Kahana. What's best about all that food was that those places were our top spots, but only about half of what we actually got to enjoy. Let's just say we live with absolutely no food regrets while on vacation. Diet is not a word we even talk about! Well, after six years of talking about it, we finally did it... we did Maui. And it was the vacation we had dreamed about (and then some). Talk about celebrating our anniversary... we fell even more in love with each other on the trip and we both fell back in love with Maui. 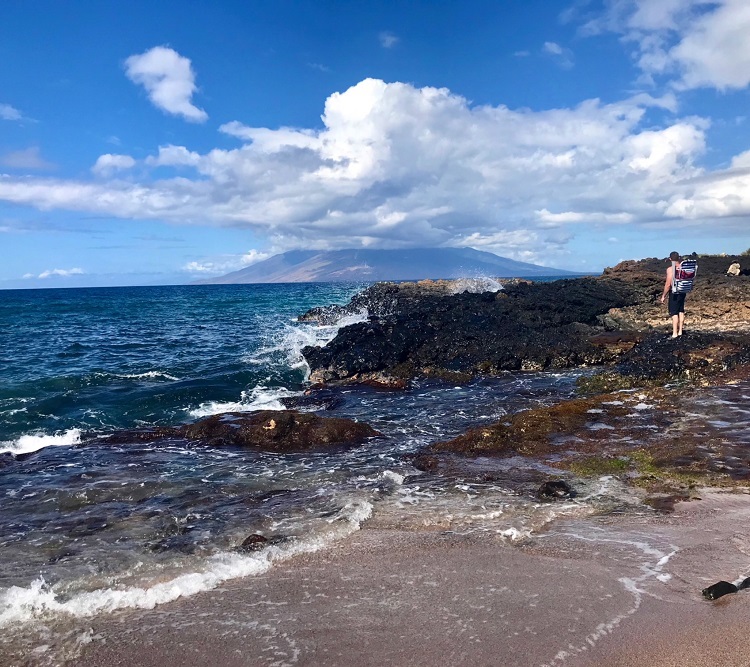 We're already talking about wanting to go back, in addition to all the other fun places we'd like to explore, but for now, Maui is at the top of our "favorites" list. So I'll leave this post with a "See you later, Maui," or as the Hawaiians say, "A hui hou koke iā ʻoe!"